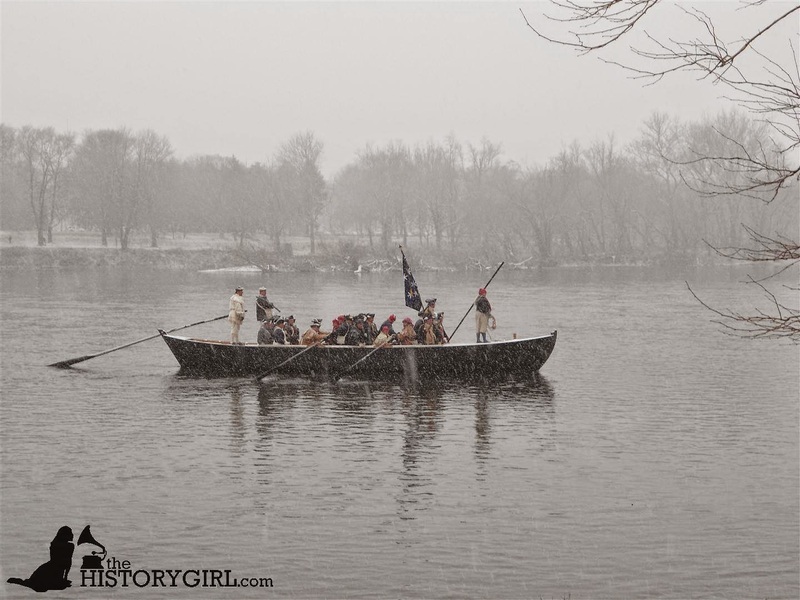 NJ Weekend Historical Happenings: 12/8/18 - 12/9/18 ~ The History Girl! Cape May County’s centuries-old tradition of coming home for Christmas will be celebrated in grand style when The Museum of Cape May County opens its doors to welcome the holiday season. Housed in a home that has continuously sat on its property since 1704, The museum serves as the ancestral home to every citizen of Cape May County. Young and old alike are invited to this year’s holiday extravaganza that begins on Friday from 6:30 - 9:30 pm. Be sure to be on hand at 7:00 pm when Santa makes a special appearance to light the enormous Christmas tree on the front lawn followed by visits with Santa and holiday sweets. Throughout the evening visitors will be able to take an evening stroll through The Museum and see the magnificently decorated and lighted rooms and be taken back to the Christmases of long ago. On Saturday, the museum will be open from 11:00 am - 3:00 pm for holiday tours, music, and treats. Santa will be on hand to welcome and listen to the wishes or our youngest visitors from 12:00 noon until 1:15 pm. Come enjoy the museum this holiday season. Be awed by the rooms, each expertly decorated by one of Cape May County’s finest florists. 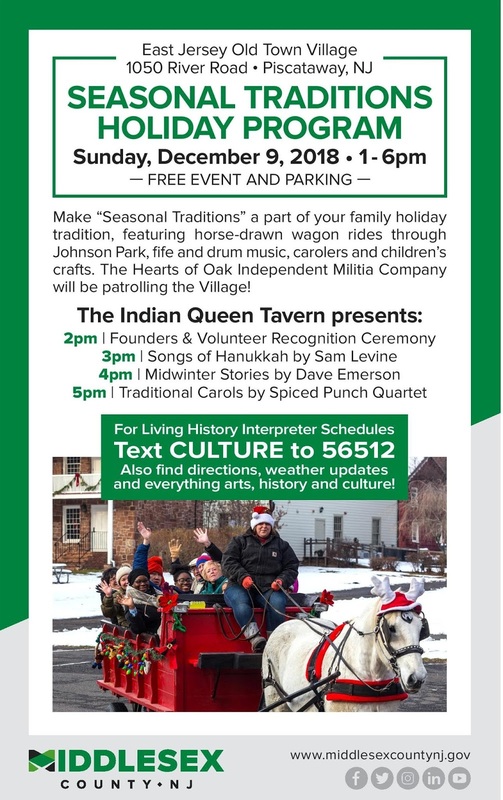 Be surrounded by the holiday music of Middle Township High School’s Middletones along with the songs of local singers John and Jan Haigis. Delight in the glory of Christmases past, bask in the warmth of this county’s long history, meet old friends and new, and enjoy the sounds and sights of Christmas – Cape May County-style! The Museum of Cape May County is located at 504 U.S. 9, Cape May Court House, NJ. For more information, call 609-465-3535 or visit www.cmcmuseum.org. On Saturday, visit Historic Longstreet Farm in Holmdel to see Brandy McCann who will be demonstrating the art of candy making, creating tasty chocolate delicacies and other sweet treats from the 1890s Fannie Farmer’s cookbook. This free event runs from 1:00 - 3:00 pm. The Washington Township Historical Society is pleased to announce the Annual Historic House Tour in Long Valley is back! Our 34th tour will include six homes in the historic districts of German Valley, Schooley’s Mountain, and Middle Valley, four of which have never been on the tour before. A bonus stop will be to see an amazing Dickens Village which is not to be missed. 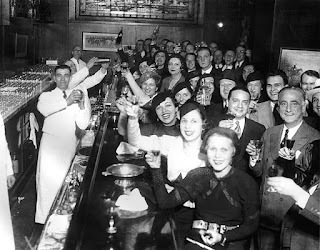 Tickets purchased the day of tour will be $25 and will be sold at the WTHS Museum at 6 Fairview Avenue, Long Valley, NJ. In respect of the homeowner’s privacy, NO photography or food or drinks will be allowed in the homes. Homes are not handicapped accessible and the tour is not appropriate for children under 12. For more information, call 908-876-9696, e-mail info@wthsnj.org, or visit wwww.wthsnj.org. 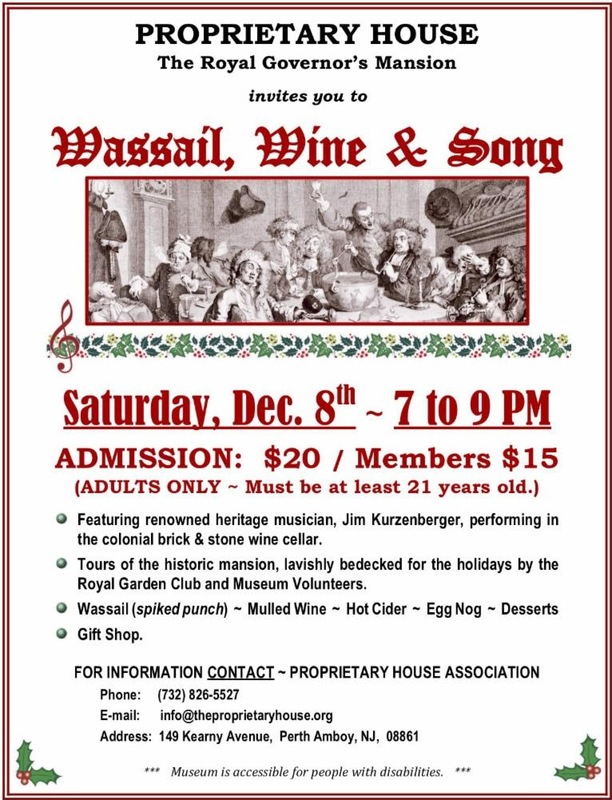 Join the Walpack Historical Society for a "Walpack Christmas" at the Rosenkrans Museum, Main Street, Walpack Center, NJ within the Delaware Water Gap National Recreation Area. The celebration and open house will take place on Saturday from 12:00 noon - 4:00 pm. The Rosenkrans Museum will be decorated in the old-fashioned style and refreshments will be served. The museum, a circa 1850 one and a half story frame building with eyebrow windows, was once the typical style of home in the Delaware River Valley. The Walpack Methodist Episcopal Church will not be open on Saturday. Paulsdale is open to the public for a Holiday Open House from 2:00 pm - 4:00 pm. Paulsdale is the birthplace of Quaker suffragist Alice Paul. 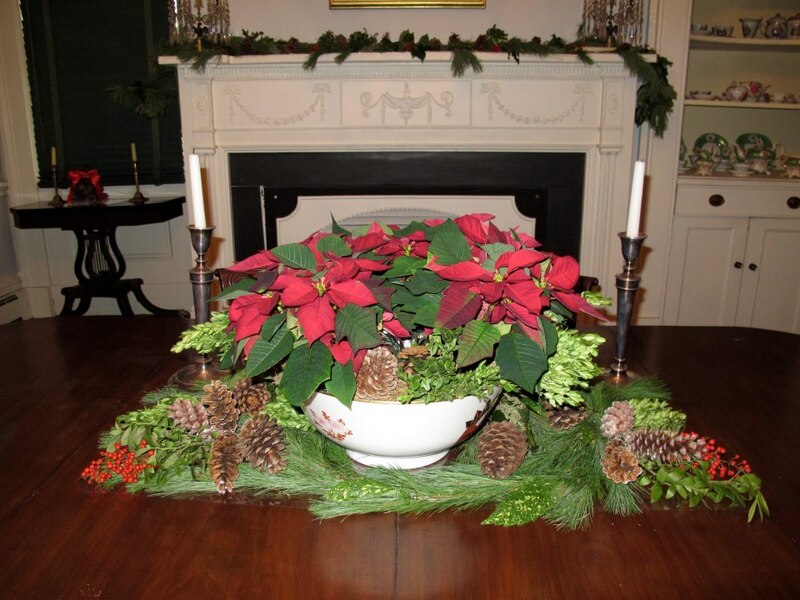 The home will be decorated in Quaker fashion by the Mount Laurel Garden Club and guests can view the Alice Paul: In Pursuit of Ordinary Equality exhibit, enjoy refreshments, shop for holiday gifts in our fun gift shop, and view the Quaker influenced natural holiday decorations. Learn about Alice Paul's life and work and the site's present day use as a girl's leadership center. Admission is free but donations are welcome. Bring the kids to the Physick Estate on Saturday and Sunday for a trolley ride around Cape May with stories and songs led by Mrs. Claus. Then, Santa will greet children with a sweet in the Carriage House. Adults $10 and children (ages 3-12) $8. Trolley rides on Saturday at 11:00 am, 12:00 noon, and 1:00 pm and Sunday at 12:45, 1:45, and 2:45 pm. Advance reservation strongly recommended. Sponsored by the Mid-Atlantic Center for the Arts & Humanities (MAC). For more information and to reserve tickets, call 609-884-5404 or 800-275-4278 or visit www.capemaymac.org. 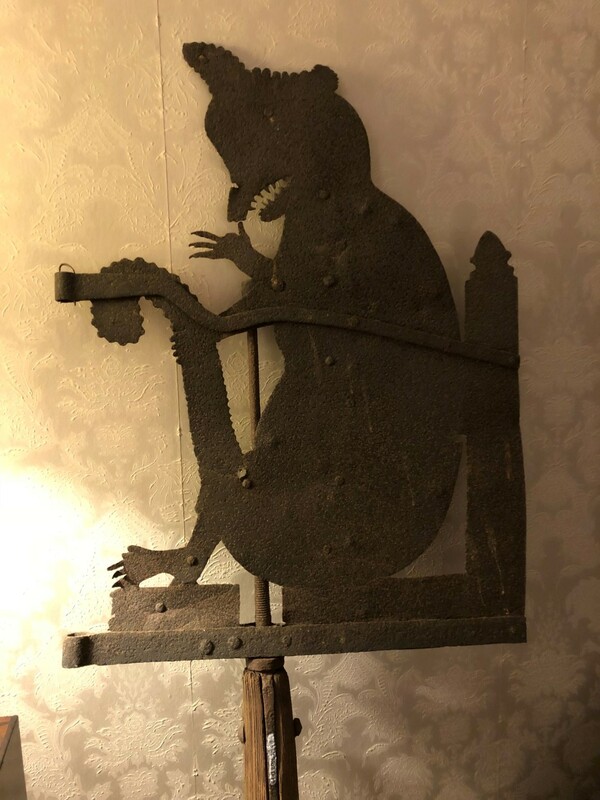 On the Physick Family Christmas House Tour, you will visit the Physick Estate, decorated in true Victorian style, for a unique living history experience with members of the Physick Family household of the 1890s. Also see the Christmas Traditions exhibit at the Carriage House Gallery, a breathtaking Dickens Village beneath the boughs of a giant Christmas tree. On Saturday, tours will start at 11:15 am, 12:30 pm, and 1:45 pm. On Sunday, the tour start at 12:30, 1:45, and 3:00 pm. Admission is $12 for adults, $8 for children (ages 3-12). Tickets can be purchased at the Emlen Physick Estate, 1048 Washington Street, Cape May, NJ. Sponsored by the Mid-Atlantic Center for the Arts & Humanities (MAC). For more information and to reserve tickets, call 609-884-5404 or 800-275-4278 or visit www.capemaymac.org. The Pennsville Township Historical Society will hold its Annual Christmas Open House on Saturday and Sunday from 1:00 - 4:00 pm, at the Church Landing Farm House Museum in Pennsville. 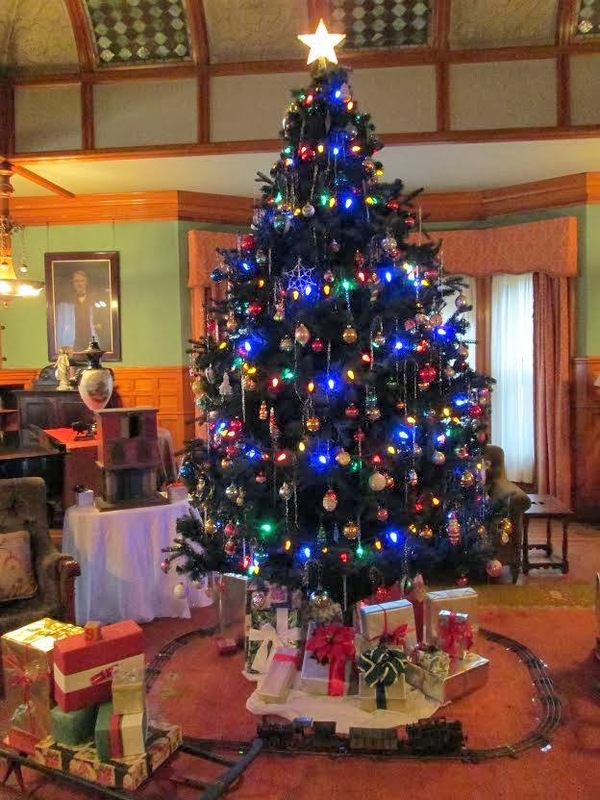 Visitors are welcome to linger in the relaxing atmosphere of a Victorian era Christmas and enjoy refreshments. The Church Landing Farm Museum is located at 86 Church Landing Road, Pennsville, NJ. Admission is Free. Donations are always welcome and gratefully accepted. For more information call 856-678-4453 or visit www.pvhistory.com. 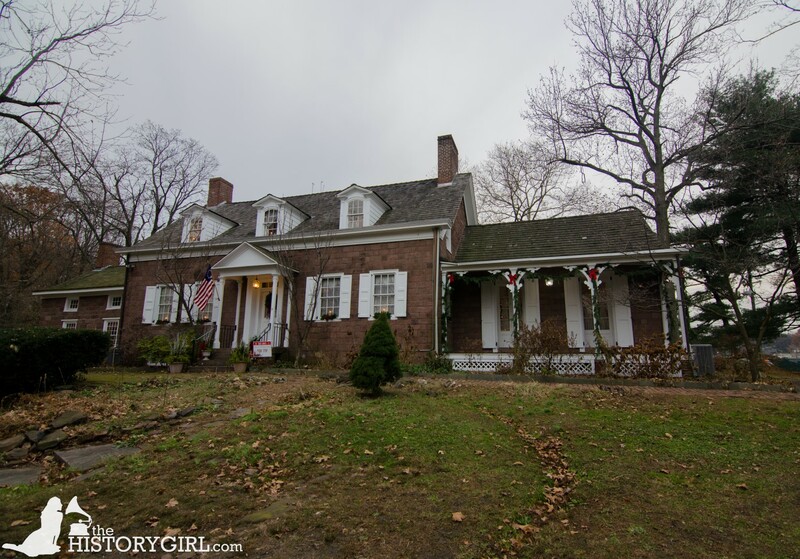 Mr. and Mrs. Santa Claus will host a holiday story time at Kingsland Manor in Nutley. Children will leave with a small token from Santa and everyone will leave with memories for years to come. Don't forget your camera! Recommended for children up to 10 years old. Admission by reservation. Space is limited to 30 guests per session. Refreshments for children and adults. Cost: $15.00 for one parent and child. Additional adults and children, $5 each. You may reserve and pay online here. The Kingsland Manor is located at 3 Kingsland Street, Nutley, NJ. For more information, call 973-661-3410, e-mail KingslandManorRestorationTrust@gmail.com, or visit www.kingslandmanor.org. The public has two opportunities to view the reenactment. The first is on Sunday, December 9, 2018 when the park will hold a full dress rehearsal from 10:00 am - 4:00 pm (actual crossing at 1:00 pm). On this day, in addition to the crossing reenactment, special colonial-era activities and demonstrations throughout the historic village will provide families with a full day of fun and learning. Cost to attend the dress rehearsal is $8 for adults, $4 for children age five to 11, and free for those under five. Proceeds from the dress rehearsal support future programs in the park. There is no fee to watch the crossing itself from the New Jersey side of the river. There is no cost to watch the crossing from the New Jersey side in Titusville. The annual Christmas Day crossing will take place from 12:00 noon to 3:00 pm on December 25, 2018 (actual crossing at 1:00 pm). The Christmas Day crossing is free. 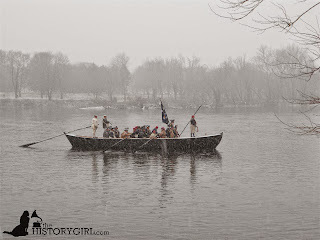 Washington Crossing Park is located at the intersection of Routes 32 and 532 in Washington Crossing, Pennsylvania. For more information, visit www.washingtoncrossingpark.org. Morristown and Morris Township Library’s North Jersey History and Genealogy Center and Macculloch Hall present “An Afternoon with Thomas Nast” on Sunday at 1:30 pm. Meet at Morristown and Morris Township Library (1 Miller Rd., Morristown, NJ, 07960) in the Lower Level Meeting Room at 1:30 pm for the screening of two half hour length documentaries, "The Grand Caricaturama" and "Villa Fontana." Then join Macculloch Hall’s F.M. Kirby Curator of Collections, Ryan Hyman, and the North Jersey History and Genealogy Center’s, James Lewis, to walk past Nast’s home, Villa Fontana, and on to Macculloch Hall where Ryan will give a tour of Bringing Down the Boss: Thomas Nast Takes on Tweed and Tammany Hall and Macculloch Hall’s latest Christmas exhibit. Please R.S.V.P. to njhgc@jfpl.org. Please dress for the weather and wear comfortable shoes. For more information, please contact The North Jersey History and Genealogy Center, Morristown and Morris Township Library at 973-538-3473 or by e-mailing njhgc@jfpl.org. If it’s true that jewelry makes the outfit, then Morris County Historical Society has a lot to show! Featured as part of MCHS’s newest exhibit, Iconic Culture: From Little Black Dress to Bell Bottoms, comes “Decades of Iconic Jewelry,” a presentation by vintage jewelry collector, Nancy Cooper, on Sunday at 1:30 pm. Longtime member, docent, and former MCHS trustee, Ms. Cooper, will discuss the type of jewelry most women wore as part of their daily repertoire. The jewelry, all from Ms. Cooper’s collection, will be examined for materials used, style and reflection with the styles of clothes, and the timelessness of the styles. Ms. Cooper has a long-standing passion for both fashion and, in particular, jewelry. From an early age she recognized that jewelry enhances not only the clothing, but the woman in particular. From the timeless designs of Gabrielle “Coco” Chanel to the trend-setting bell bottoms of Sonny and Cher, MCHS explores more than 50 years of cultural history through a retrospective featuring nearly 100 pieces from its historic textile collection. Iconic Culture examines how changes in clothing styles mirrored the social climate of their time and the seminal moments and people who defined their decade – with a focus on New Jersey history. In addition to the fashions, Iconic Culture highlights cultural milestones in local, state, and national history that coincided with the Roaring 20s, Great Depression, World War II, Civil Rights Movement, and Vietnam Era. The Gallery Gift Shop has a wide selection of vintage and New Jersey-made jewelry in addition to vintage-inspired. Have you heard of Madame Moose? Or Sweetlips? Or how about Nelson and Blueskin? What do Shire, Devon and Hog Island have to do with 18th-century farming? What animals did George Washington have a strong hand in introducing to America? 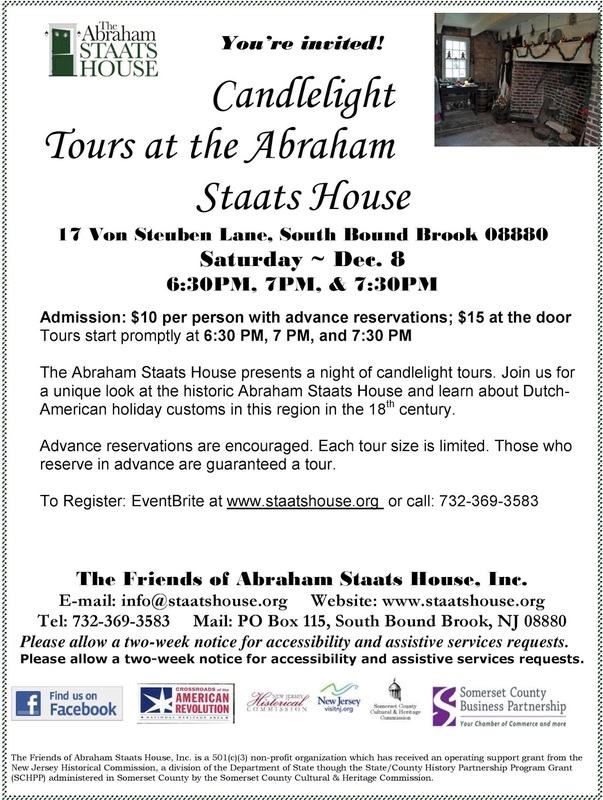 Rockingham will be presenting its annual Candlelight Holiday Tours on Sunday from 11:00 am - 4:00 pm. This year's theme revolves around the "beasts" - pets, working animals, wild - that were part of Washington's and his family's life. Learn about the funny names some of his many dogs had, what wild animals were important to Mount Vernon's (Washington's main farm) economy and what various creatures served as pets in the Washington household. 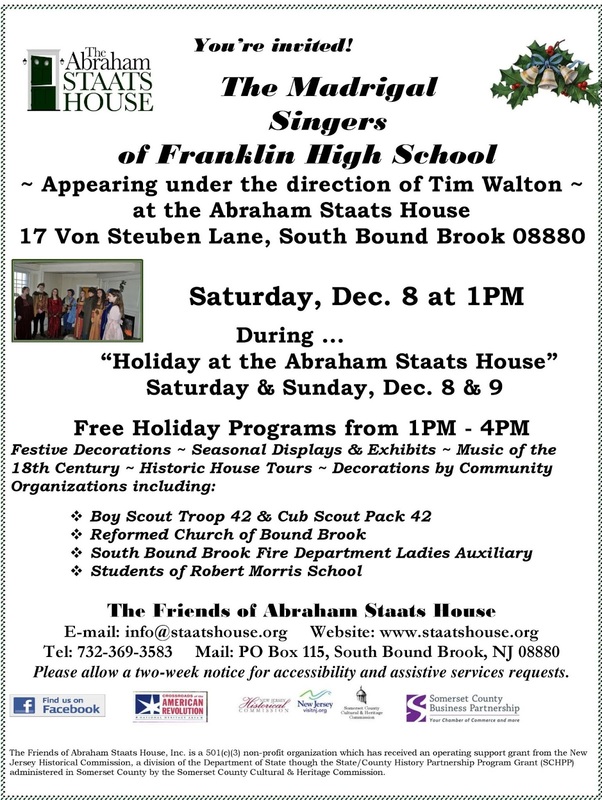 The Live Historians Club of Montgomery Township High School will be presenting the faunal information in period dress as visitors are touring from room to room of the historic house, which will be enhanced in the restrained 18th-century style of holiday decoration. Practitioners of Musik will be on hand providing lilting melodies, Rockingham Association members will have the Museum Store open and there will be refreshments available in the Dutch barn. 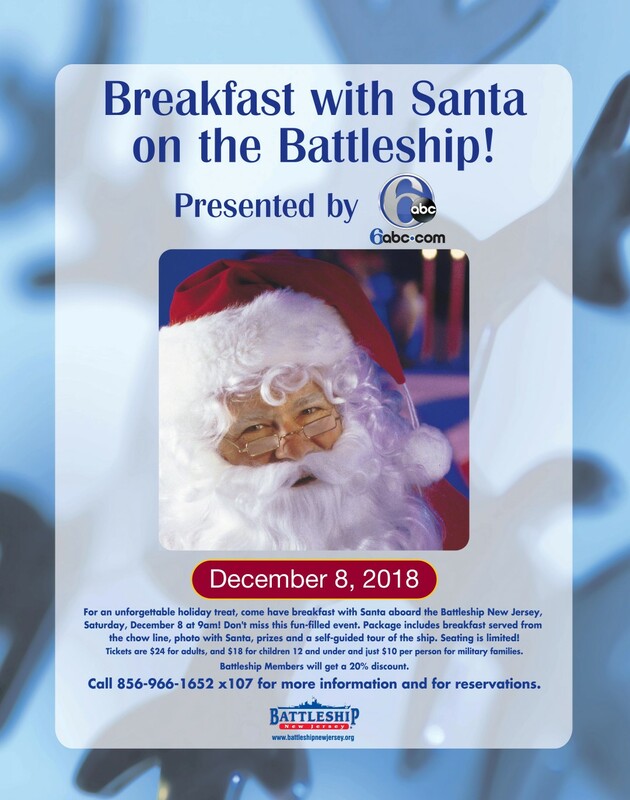 Advance tour reservations are REQUIRED for admission with a suggested donation of $5 per person or $10 per family and must be made by calling 609-683-7136. Tours will be offered at least every half-hour with the last tour beginning at 3:30 pm. Celebrate the season at the Durand-Hedden House & Garden on Sunday from 1:00 - 4:00 pm with a gingerbread-house contest, featuring unique creations from young kids through professional bakers. 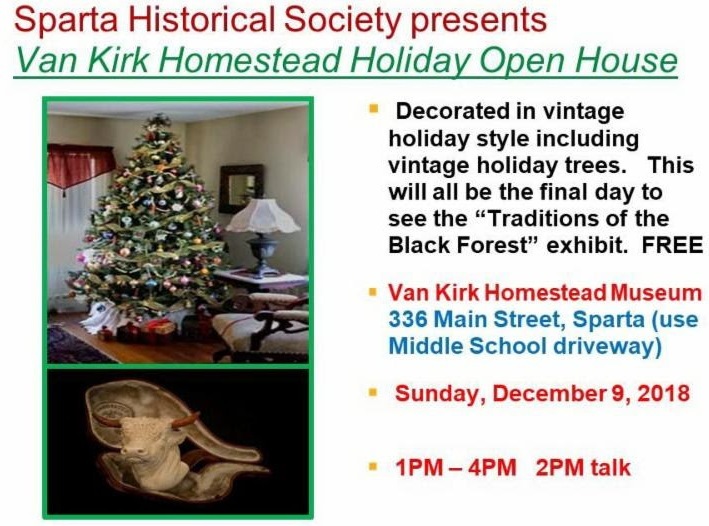 We'll also have a visit from a Victorian Santa, and shopping at our charming Country Store. Gingerbread House Contestants must enter by Saturday, December 8. Visit www.DurandHedden.org for details and to enter. Kids, teens, adults, and professionals are welcome. Children can also visit with our Victorian Santa on the Sunday – be sure to have your camera ready. The creative entries of the 2018 Durand-Hedden Gingerbread House competition will be on display as well as on December 15 and 16 (at the Country Store) and at the Hilton Library December 18 through January 17. 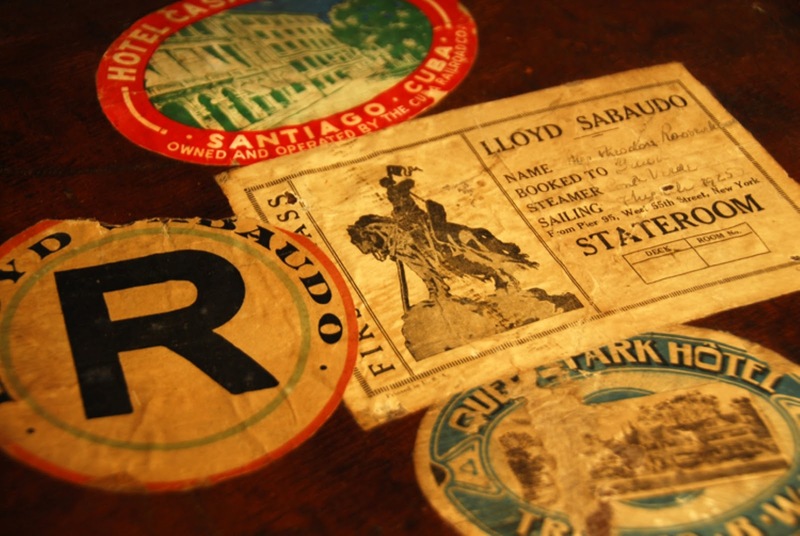 View local 18th and 19th century samplers from a private collection. This special Show and Tell afternoon at Historic Walnford will include what has been learned about the young women who created the samplers and share the progress of the carefully executed stitches recreating an 18th century Waln family sampler.